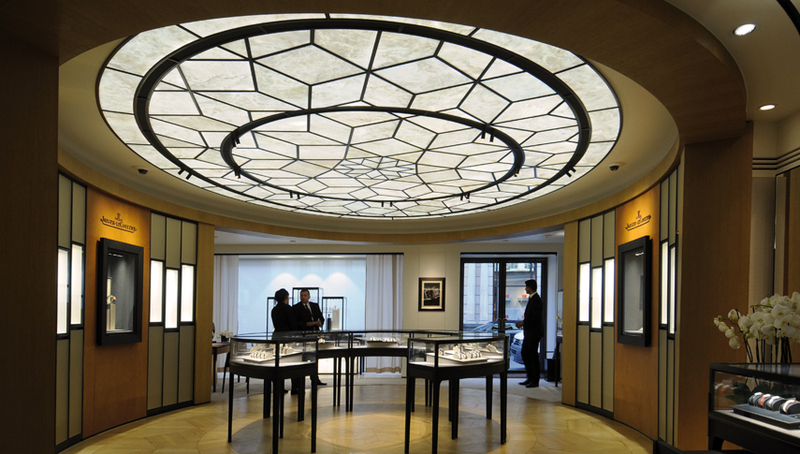 Two monumental “glass” ceilings in alabaster ensure that the new London shop is bathed in light. A metallic structure bears 180 SOLO elements, combining alabaster with light. Each custom-made unit is independent and detachable.